The annual mission report, which is written by all the heads of diplomatic missions of EU member states is strongly worded about the current situation in the Gaza Strip. Gaza forms an integral part of the occupied Palestinian territory, as stipulated in the Oslo Agreements and UNSC Resolution 1860. The current peace negotiations must take this territorial unity into account. As an essential part of the future State of Palestine, Gaza should be included in the current final status negotiations aimed at achieving a two-state solution. The EU will therefore continue to address Gaza in the context of its engagement in the Middle East Peace Process. Today, Gaza is facing a dangerous and pressing humanitarian and economic situation with power outages across Gaza for up to 16 hours a day and, as a consequence, the closure of sewage pumping operations, reduced access to clean water; a reduction in medical supplies and equipment; the cessation of imports of construction materials; rising unemployment, rising prices and increased food insecurity. If left unaddressed, the situation could have serious consequences for stability in Gaza, for security more widely in the region as well as for the peace process itself. Overall, the root of the current economic and humanitarian situation in Gaza is first and foremost of a political nature and is based on an unsustainable policy of severe movement and access restrictions. The primary duty bearer in this regard is Israel as the occupying power but the de facto authority, the Palestinian Authority also have critical roles to play. A categorical renunciation of violence by Hamas as a means of achieving goals would have a transformative effect on the situation in Gaza and would enable badly needed process in Palestinian reconciliation. All sides must abide by their responsibilities under the November 2012 ceasefire agreement. An immediate and comprehensive response by the EU together with international and regional partners is also needed. Urgent short-term measures to alleviate the suffering of the Gazan population need to be combined with actions to promote economic development in the medium term, and, above all, a strategy for a political endgame resulting in Gaza’s return to normality. In the long term such an approach is the most effective way to address Gaza’s economic and humanitarian situation as well as legitimate Israeli and regional security concerns. Political and economic pressure on Hamas. As the occupying power, Israel bears the prime responsibility for the situation in Gaza. While the Palestinian Authority remains its legitimate authority, the de facto authorities under the leadership of Hamas have managed the Strip since 2007.Following the removal from power of the Muslim Brotherhood in Egypt, Hamas is facing unprecedented regional isolation as well as economic pressure due to the recent Egyptian crack-down on the illegal tunnel activities (cf. 3.1). Externally, elements within the leadership have reached out to Turkey, Lebanon (Hezbollah), Qatar and Iran. Internally, Hamas has, so far unsuccessfully, sought to implement a power-sharing regime, albeit on its own terms, bringing in other political factions present in Gaza (including Fatah). In addition, Gaza’s political and economic isolation is putting significant pressure on Hamas’ internal unity. Ceasefire/other militant groups. Despite Hamas’ calls for a return to armed resistance, there is little evidence that Hamas has changed its policy on the ground. The ceasefire which was agreed in November last year has largely held for over a year, although some rockets continue to be fired by militant groups in Gaza. Between January and October 56 rockets were launched (and six mortars), compared to 418 rockets and 258 mortars in 2011, according to the Israeli Security Agency (figures for 2012 are notably higher due to Operation Pillar of Defence), making 2013 one of the quietest years for rocket launches but nonetheless continuing to create fear for the population in southern Israel. Hamas’ current priority would appear to be survival and to retain control of the Gaza Strip. It continues to exercise general control over most other resistance groups in Gaza. However it does not appear to control several small Salafi-Jihadi groups. Hamas’ relationship with Palestinian Islamic Jihad (PIJ) is more nuanced – it has been able to tie PIJ into the ceasefire with Israel, but PIJ continues to represent the most potent threat internally to Hamas both politically and militarily with Iranian funding still reportedly flowing to PIJ. Although the smuggling of weapons has dropped drastically since the Egyptian measures to destroy the illicit tunnel network, Hamas is believed to retain a significant stockpile of weapons. The political uprisings that have swept the region since 2011 have profoundly changed Hamas’ outlook. Within one year it has lost considerable support in the region due to the changing political context. However, before any lasting changes could result from the ceasefire with Israel, President Mursi lost power in Egypt, the Emir of Qatar abdicated in favour of his son and Hamas’ relations with Turkey cooled. Egypt’s new leadership now see Hamas as a threat to its internal stability, accusing it for the rapid security deterioration in Sinai. While the situation in the Sinai Peninsula is a matter of concern in its own, its links to the situation in Gaza should not be overlooked, including Israel’s security concerns in halting the smuggling of weapons through Sinai to the Gaza Strip. Hamas has thus found itself without powerful international political and financial support and under pressure from its immediate neighbours in the Strip.While the basis of the relationship with Israel remained unchanged, the strong pressure exerted by the new Egyptian leadership on Hamas came as a surprise and generated concern about how far the military was prepared to go. Overall it is probably the case that neither Israel nor Egypt is interested in a total collapse of Hamas at present as this would leave a potentially dangerous power vacuum in the Strip. In terms of its future directions, Hamas is currently at cross-roads. At one end of the scale it could become more moderate, reconcile with Fatah, join the PLO and reach a modus vivendi with Egypt and in particular with regard to the situation in Sinai. At the other end of the scale it could intensify armed attacks on Israel including from the West Bank. Various options exist in between. What is clear is that its decision will be influenced by its assessment of what potential regional alliances are open to it, its internal support base and its financial situation. Gaza forms an integral part of the occupied Palestinian territory, as stipulated in the Oslo Agreements. The current peace negotiations must take this territorial unity into account. For a peace agreement with Israel to take hold, it must include Gaza. Consequently, there is a critical need for intra-Palestinian reconciliation in order to maintain the two-state solution. The political leadership in Gaza and in Ramallah have a shared responsibility to take all necessary actions needed for reconciliation to happen in line with the principles set out by President Abbas in May 2011. Reconciliation efforts in 2011 and early 2012 attempted to bridge the differences between Hamas and Fatah, via the intermediary of a technical unity government under Mahmoud Abbas, and the organisation of parliamentary and presidential elections in line with agreements reached in Cairo and Doha. However, since the ousting of President Mursi in Egypt in July 2012 these efforts have come to a halt. The current isolation of Gaza, seen by Hamas as a joint Egyptian, Israeli and Ramallah-driven effort, has contributed to the deepening of intra-Palestinian divisions. Hamas has not yet agreed to the principles required for reconciliation as set out by President Abbas in May 2011 including the renunciation of violence. Although repeating support for ‘national unity’, Hamas’ military wing and Islamic Jihad have publicly called for a ‘third intifada’ and continued resistance against Israel by all means available. They have also called for the leadership in Ramallah to renounce the ongoing peace negotiations. Fatah has so far not heeded Hamas’ call for unity. Offers of technical assistance in the field of security cooperation, as well as on energy have been insufficient to fully re-launch the stalled reconciliation talks of 2011. Beyond the dynamics between Fatah and Hamas, there are also actors who maintain that peace negotiations must precede reconciliation. Only a comprehensive agreement between the parties could be strong enough to persuade Hamas to agree to the holding of a popular referendum – as President Abbas has proclaimed he would do in both the West-Bank and Gaza. Sustained international support for the Palestinian Authority is required to help ensure a comprehensive agreement. However, Hamas could use discontent with the talks to stir up opposition to Fatah and the leadership in Ramallah. The following focuses on the situation in Gaza following the latest confrontation with Israel in November 2012. Overall economic situation. Since Hamas took control of Gaza in 2007 and following the closure imposed by Israel, the situation in the Strip has been one of chronic need, de-development and donor dependency, despite a temporary relaxation on restrictions in movement of people and goods after the Gaza flotilla raid in 2010. The closure has effectively cut off access for exports to traditional markets in Israel, transfers to the West Bank and has severely restricted imports. Exports are now down to 2% of 2007 levels. Under the government of Mohammed Mursi between July 2012 and July 2013, the existing illegal tunnel network between Gaza and Egypt proliferated and cargo traffic expanded. The Palestinian Federation of Industry (PFI) estimate that 1,200-1,500 tunnels were operating at the peak, accounting for more than 80% of Gaza’s supply of construction materials, medical supplies, food, and other goods. For several years, these tunnels kept Gaza’s economy afloat, and provided Hamas with half of its overall budget through taxes and fees. Following Egyptian measures taken to crack down on the tunnel network, after the ousting of President Mursi, only ten truckloads of goods per day entered through the tunnels at the beginning of November 2013 compared to over 200 truckloads per day in June 2013, according to UN OCHA. This has put Hamas under severe economic pressure and, since August 2013, Hamas is struggling to meet its obligations to pay salaries to some 50,000 civil servants. The Gazan de facto Minister of Economy, Alaa al Rafaty, has estimated the losses to Gaza’s economy of the tunnel closures at 170 million EUR per month. The lack of construction activity is of great concern as the construction sector has been the primary employer in the Gaza Strip since 2008. According to the World Bank this sector accounted for more than 80 percent of Gaza’s growth during the first quarter of 2013, as large inflows of donor aid were directed towards construction projects that were initiated in late 2012. Overall, the construction sector accounted for 27.6 % of Gaza’s GDP in the second quarter of 2013. It has been estimated earlier this year that approximately 70,000 people rely on the construction sector for their livelihoods. In addition to the Egyptian closure of the tunnels, Israel halted the entry of all construction materials through Kerem Shalom on 13 October (cfr 3.3.) after the discovery of a concrete-lined tunnel leading into Israel, which Hamas have publicly stated they built with the intention of carrying out attacks on Israelis. Both developments have resulted in the halting of major building projects. The increase in prices of construction materials also forced contractors to suspend building projects and lay off thousands of workers. This has contributed to an already rising unemployment rate, which reached 32.5 % in the third quarter of 2013, compared to 27.9 % in the second quarter. During the third quarter, 5,350 construction workers lost their jobs. The overall rate of unemployment among young people, aged 15 to 29, rose to 50.5%, compared to 44.9% in the previous quarter. Some construction material related to the previously agreed Qatari-funded projects, entered Gaza through Rafah. The total amount of imported materials (cement, steel, gravel) through Rafah rose from 18 631 tons in September to 29 733 tons in October. Import through Rafah again fell to 26 508 tons in November. In addition, international organisations, who depend on imports through Kerem Shalom (the only crossing point for goods between Israel and Gaza), were reported to have run out of construction materials, due to the Israeli restrictions imposed on 13 October 2013. (cf 3.3). UNRWA announced on 19 November that it had to suspend 19 of 20 active projects. On 9 December, however, UNSCO confirmed that Israel had decided to resume the transfer of construction materials for UN projects in Gaza. - Water, sanitation and hygiene (WASH): OCHA has reported an acute shortage of fuel to power standby generators at all 291 water, sanitation and hygiene facilities in Gaza. One quarter of the population living in Gaza City, Rafah and Jabaliya now receives fresh water only once every four days, for six to eight hours at a time. Overall water consumption in Gaza has fallen from 90 to 40 litres per day per capita. In addition, the increasing inability to operate generators has resulted in the flooding of sewage and the release of 90 million litres of untreated wastewater into the sea every day. Tens of thousands of untreated sewage have been spilled in various locations. This has affected at least 3000 people who are exposed to increased public health risks, including diarrhoea. - Hospitals are also suffering from a lack of fuel, as they are struggling to keep generators running and are postponing surgical operations in order to save energy. Meanwhile, as a result of the frequent closure of the Rafah border crossing by the Egyptian authorities the number of patients crossing the border to Egypt since July 2013 has decreased dramatically. - In addition, other basic services such as transport, availability of cooking gas and the provision of educational services have also been affected by the fuel crisis. Garbage-collection vehicles are running at half capacity, exposing the civilian population to increased public health impact of the accumulation of solid waste. As a result of over-abstraction of water from the aquifer – the principal water source in Gaza – the groundwater level has been sinking. This causes salty seawater to seep in, rendering 90% of the aquifer’s water unsafe for drinking without treatment. According to a UN study, the aquifer may become unusable by 2016 and damage to it may be irreversible by 2020. Food insecurity is also increasing. This phenomenon is primarily caused by weak purchasing power, due to high unemployment, low wages and high food prices. According to the UN the share of food insecure households increased from 44 % in 2011 to 57 % in 2012. Israel has allowed more truckloads through the border crossing of Kerem Shalom in recent months, but this has not been sufficient to prevent price increases on basic goods. The number of food insecure households will probably further increase by the end of this year, thereby compounding the already fragile humanitarian situation. The human rights situation in Gaza is worrying. A range of violations of human rights and fundamental freedoms has been recorded including as regards freedom of movement, freedom of expression and peaceful assembly. Both the Israeli authorities in their capacity as occupying power and the de facto authorities have responsibility for safeguarding human rights in Gaza. The Israeli authorities have continued to impose a closure on the Gaza Strip for the seventh consecutive year, causing further deterioration of the humanitarian situation and of the economic and social conditions in the Gaza Strip. Palestinians in the Gaza Strip continue to be denied the right to freedom of movement. They suffer greatly from restrictions imposed on their passage through Beit Hanoun (‘Erez’) crossing. Israeli forces have continued to close Erez crossing to Palestinian civilians, thus preventing people in Gaza from accessing holy sites in Jerusalem and Bethlehem, studying in universities in the West Bank, and visiting their families and relatives in the West Bank, and vice versa only allowing passage with special permits in exceptional cases. Since June 2013, and due to the Egyptian internal crisis and the deterioration of the security situation in North Sinai, the Rafah border crossing has been closed for long periods. This has further restricted freedom of movement of the Gazans and left hundreds of Palestinians stranded on both sides of the border. The de facto authorities have continued to undermine respect for freedom of association, assembly as well as freedom of expression. As regards freedom of association, the de facto authorities continue to impose restrictions on the work of civil society organisations, by arbitrarily revoking licenses for associations in addition to preventing some NGOs from holding public activities and events). In the past few months, there has been a notable increase in the summoning and arresting of Tamarod Movement (« Rebellion »)-affiliated activists. Warnings to those seeking to demonstrate against the authorities of dire consequences for those going on to the streets also represented violations of the right of freedom of assembly. The de facto authorities have also increased pressure on journalists operating in Gaza and closed media outlets which broadcast critical information. At least 33 journalists, bloggers, activists and university lecturers have been summoned or arrested by the Internal Security Service in Gaza for publishing critical articles or statements. In addition, the head offices of al-Arabiya, Ma’an News Agency and Lance Media Company were closed down on 25 July 2013 (although they have subsequently been allowed to re-open), while the Hamas de facto authorities continue to ban the distribution of West Bank-based newspapers. In 2013 the de facto Hamas authorities carried out three death sentences. These were not ratified by the President of the Palestinian Authority. As a result, the total number of death sentences carried out in the Gaza Strip since the Hamas’ takeover in 2007 has increased to 17. Eight of these sentences were handed down on the grounds of collaboration with foreign parties, and the other nine on the grounds of criminal charges (murder). Whilst the number of rockets has been lower in 2013 than in previous years, indiscriminate firing of rockets towards Israel by extremist groups in Gaza has continued, in violation of international law. Gender inequality in Gaza remains a matter of concern. In 2013, three women were killed on grounds of “family honour”/femicide. Also, a law demanding every man and woman seen together in a public place to show official documentation of their relationship status has recently been introduced. Moreover, the board of al-Aqsa University on 27 January imposed a dress code on female students to ‘persuade’ them to wear both a hijab and jilhab, while UNRWA in April cancelled a fundraising marathon after Hamas prohibited women from participating. In addition the de facto authorities have imposed gender segregation in most Gazan schools as from the age of nine and a ban on men from teaching at girls’ schools and vice versa for women at boys’ schools, both foreseen by the Educational Law no 1/2013 passed by the Gaza-based Palestinian Legislative Council in April 2013. NGO challenges. The de facto Hamas authorities have demanded that international humanitarian NGOs register at the Public Institutions Department of the Interior Ministry, provide financial and administrative reports and obtain visas and exit permits for their employees when entering or leaving Gaza. Moreover, despite a commitment to the contrary, the de facto authorities have continued to demand that such staff apply individually, while rejecting annual lists provided by the INGOs. In addition, controversies remain concerning the collection of VAT and income tax from such organisations and their staff. Before the Hamas take-over of the Gaza Strip in June 2007, five crossings were open on a regular basis between Gaza and Israel: Erez (for persons); Nahal Oz (fuel pipeline), closed in January 2010; Karni (main cargo crossing, especially for construction materials), closed in March 2011 and destroyed in early 2012; Sufa (cargo crossing), closed in September 2008; Kerem Shalom (cargo crossing). Currently, only Kerem Shalom (for goods) and Erez (for persons) are partially open. Although these crossings are supposed to be open five (Kerem Shalom) to six (Erez) days a week, they are often closed, mainly on security grounds – for instance, in the first four months of 2013, Kerem Shalom was closed for almost half the time (52 days). Limited amounts of authorized goods can enter in Gaza through Kerem Shalom; after the incident of the Mavi Marmara (Gaza flotilla) in May 2010, the system was marginally improved, with a shift from a list of permitted goods to a list of forbidden / dual use goods. The list is still very restrictive and currently excludes construction materials except those intended for international projects. The authorisation for import of small amounts of construction materials for the Gazan private sector, announced by the Israeli authorities on 18 September 2013, was briefly implemented until the 13 October following the uncovering of a tunnel between Gaza and Israel which Hamas’ military wing indicated was intended to help kidnap Israeli soldiers. Exports from Gaza to Israel and transfers to the West Bank (which are the main potential markets for Gazan producers) are prohibited while only limited quantities of agricultural goods are allowed out through Ashdod. The system of transfer of goods through Kerem Shalom (“double back-to-back”) is costly, heavy, and not appropriate for delicate agricultural products. As a result, less than one truckload/day on average exited Gaza in the first half of 2013, compared to 38 during the first half of 2007. In addition, the Rafah crossing point between Gaza and Egypt (reserved to persons and some humanitarian aid, with one exception granted by Egypt in 2012 for construction material for Qatari projects) was open under EU supervision in 2006-2007, mostly closed after the Hamas seized power in Gaza in June 2007, briefly reopened in May 2011 after Mohamed Mursi came to power and is now operating at a fraction of its previous capacity since the regime change in Egypt in July 2013. The progressive imposition of restrictions of movement of people during the Second Intifada, and eventually the imposition of the closure in mid-2007, put an end to access for Gazans to the Israeli job market and to the West Bank. Combined with the closure of Rafah (apart from the exception of the mid-2011/mid-2013 period), this effectively confined Gazans to the Gaza Strip. Less than 200 people per day on average (mainly medical and humanitarian exceptions) were allowed out of Gaza in the first half of 2013, compared to 26,000 in the first half of 2000. Impact on the ground. As described above, the social and humanitarian consequences of the restrictions on access and movement are significant. These restrictions are a primary factor of increasing aid dependency of the population and the “de-development” of the economic potential of the private sector and of public infrastructures. – the economy of the tunnels also provided an important source of income to Hamas and other armed groups through taxation of the goods smuggled through the tunnels, while depriving the Palestinian Authority of the fiscal revenue it would have received through the official crossings. At the same time, nearly half of the PA’s budget is still dedicated to Gaza (47 to 48%), mainly for utilities and the payment of active or unemployed PA civil servants in the Gaza strip. Legal basis and political statements. Restrictions on movement and access are governed by international humanitarian law including specific conventions and international customary law regarding collective punishment (Hague Regulations, art. 50; 4th Geneva Convention, art. 33; ICRC, rule 103). In addition, the Oslo Accords provide a clear basis for the opening of all crossing points between Gaza and Israel and the movements from and to Gaza, by declaring Gaza and the West Bank one territorial unit and stating the obligation for Israel to provide “safe passage” for people and goods. The November 2005 Agreement on Movement and Access (AMA), and its Technical Elaboration stipulate that all crossings (for goods or persons) between Gaza and Israel are to be open “continuously”, and that the crossing point of Rafah (for persons only) between Gaza and Egypt is to be open with the presence of a third party (EU, through the deployment of EUBAM Rafah). In addition to the crossings-related issues, the AMA 2005 provides that a link between Gaza and the West Bank will be established and that the construction of the Gaza sea port can start. UN Security Council resolution 1860, adopted during Israeli operation Cast Lead (8 January 2009), calls for “a sustained reopening of the crossing points on the basis of the 2005 Agreement on Movement and Access” (OP6). Israel has the right to take necessary measures to address all threats to its national security. However such measures must be in conformity with international law – i.e. proportionate to a specific threat, temporary, and not punitive in nature. In that regard, the main UN agencies (UNRWA, OCHA) and the UN Special Coordinator have consistently stated that the restrictions on movement and access in Gaza “amount to collective punishment”. The EU has repeatedly called for immediate, sustained and unconditional opening of crossings for the flow of humanitarian aid, commercial goods and persons to and from Gaza. Since the outbreak of the Second Intifada in 2000 the Israeli army enforced « Buffer Zones » or « Access Restricted Areas » (ARA) in the Gaza Strip. As such, Israel prohibited Palestinians from accessing or making full use of large areas of their lands and fishing areas. The restrictions put in place have varied since 2000, but have had several negative consequences on the daily life of Palestinians within the Gaza Strip. They resulted in particular in reduced access to livelihoods and services; the destruction, damage or confiscation of property; the detention and harassment of fishermen; the levelling of farm land; the violation of Palestinians’ human rights (such as the right to work and the right to an adequate standard of living) and the frequent use of live fire resulting in injuries or casualties. Changes in access at sea. The 1993 Declaration of Principles on Interim Self Government (Oslo I) provided for a fishing limit of up to 20 nautical miles for Palestinian fishermen in the Gaza Strip. Nevertheless, since 2000 the fishing zone has been severely restricted by Israel, fluctuating between three and six nautical miles. On 21 May 2013, Israel again extended the fishing area from three to six nautical miles. This area does still not, however, include the most profitable fishing areas which start at eight nautical miles off the coast. As a result only 3,500 fishermen are currently working within Gaza, compared to 10,000 fishermen in 2000. Changes in access to land. After the outbreak of the Second Intifada, Israel for the first time designated an area of 150 metres inside Gaza from the separation fence as an ARA. This area was expanded up to 300 metres (and often even beyond this mark, up to 1500 metres) in May 2009, which has been the prohibited zone since. It should be noted, however, that access to agricultural land has slightly improved. Since the Ceasefire Agreement it has been reported that access restrictions have not been enforced as severely or as frequently beyond the 300 metre ‘line’ as before. Farmers reportedly have been allowed to cultivate lands up to 300-500 metres from the fence for the first time in several years. Uncertainty regarding the precise limits of the Restricted Areas continues to threaten the physical safety of Gazan farmers. Incidents at sea and land. During the first half of 2013 the number of shooting incidents at sea has more than doubled compared with the second half of 2012 (from 43 to 95 incidents). The number of shooting incidents on land reported during the first half of 2013 decreased (from 69 to 58, ), Fewer persons were killed during this period (from five to two reported cases) and injured (from 105 to 31 reported cases). Impact on livelihood. The restrictions put in place have negatively affected the Gaza fishing industry, agricultural production, educational system, access to services and feeling of physical security. According to recent numbers provided by UNOCHA (July 2013), 35 % of agricultural land and 85 % of fishing waters have been affected by Israeli restrictions since 2000. Access restrictions resulted in an annual loss of 75,000 metric tonnes agricultural production (corresponding to 36.5 million EUR annually), while the loss in fish catch was estimated at approximately 13, 000 metric tonnes per year. 13 schools located within a 1500-metre area from the fence and which house 4,800 students and staff were also affected, while at least 306 water wells within the ARA were destroyed by the Israeli army since 2005. Moreover six agricultural water reservoirs have been demolished in the ARA in the last five years, all of which remain unrepaired. In addition, 214 Palestinians were killed in the ARA on land and 825 injured since 2007, while five fishermen were killed and 25 injured. Two public workers were reportedly shot during the first half of 2013. The risk of being shot also hampers the ability of humanitarian organisations to provide assistance. The EU has consistently worked to ensure that Gaza remains high on the international agenda and has undertaken extensive public diplomacy efforts, inter alia, through regular high level visits to Gaza including the EU High Representative and Member States’ foreign and development ministers. EU overall assistance. The EU and its member states provide a range of financial and technical assistance to the people of Gaza. A substantial focus of assistance is aimed at ensuring the delivery of essential education, health and social relief services to Palestinian refugees (75% of Gaza residents are registered as refugees) through the EU’s annual contribution to the general budget of UNRWA. In addition, the EU is contributing approximately 40 million EUR annually to the cash transfer programme managed by the PA’s Ministry of Social Affairs. This ensures the payment of social allowances, inter alia, to approximately 24,000 of the most vulnerable Palestinian families living in Gaza. In line with its overall assistance priorities in the occupied Palestinian territory, the EU also provides substantial assistance in the area of water and sanitation, the private sector and economic development. As regards the former, such assistance includes construction/rehabilitation of sewer networks, wastewater treatment and seawater desalination. As for the latter, assistance is currently focused on development of the private sector in Gaza, on technical and vocational training and development of the agricultural sector. In addition the EU is currently supporting a major job creation programme through UNRWA as well as the expansion of capacity at the Kerem Shalom Crossing Point. At the same time the EU is supporting the activities of a range of civil society organisations in Gaza through various programmes including the European Instruments for Democracy and Human Rights, its Non-State Actors’ Programme, Investing in People (gender interventions) and the Partnership for Peace. Through its Tempus and Erasmus Mundus programmes, the EU is also providing support in the area of higher education, mobility of students and through scholarships. EU Humanitarian Assistance. Humanitarian assistance in Gaza is provided by the European Union Humanitarian Affairs and Civil Protection Office (ECHO) through targeted support to the most vulnerable households in the Strip. In 2013, around 19.5 million EUR was channelled through United Nations specialized Agencies, the ICRC and International non-governmental organisations to provide food assistance, clean water to the poorest neighbourhoods, support activities to small farmers and herders and emergency health services.Emergency preparedness and response activities will form the basis of 2014-programming, aimed at safeguarding Gaza response capacity to external shocks. Standard interventions will be linked to emergency health services, the maintenance of important basic Gaza water networks and (the development of) cash distribution modalities (such as food voucher programming) that can be scaled up when the situation in Gaza so requires. Vulnerable households dependent on social safety nets and humanitarian assistance have seen little improvement in living conditions and remain largely dependent on these types of assistance in an environment of falling work opportunities. EUBAM Rafah. The European Union Border Assistance Mission at the Rafah Crossing Point (EUBAM Rafah) was launched in November 2005 after Israel and the Palestinian Authority designated the EU as third party in the Agreement on Movement and Access (AMA). Its main task is to monitor the operations of the PA at the border crossing point between the Gaza Strip and Egypt, thereby reconciling Israel’s security concerns with the freedom of movement of the Palestinians living in the Gaza Strip. Until the take-over by Hamas in the Gaza strip in June 2007 450,000 passengers used the crossing, with an average of about 1,500 people a day. The mission has been on stand-by since, and has been out of operation for six years out of its eight years of existence. Its mandate includes provisions for operational reactivation of the mission, should the political context change. The current situation in Gaza requires an immediate response by the EU, together with international and regional partners, since the continuation of the « status quo » threatens to create an ever more ruinous and dangerous situation on the ground. Nonetheless, given that the causes of Gaza’s difficulties are essentially political, any response needs to be comprehensive in nature. Urgent short-term measures to alleviate the suffering of the Gazan population need to be combined with actions to promote economic development in the medium term, and, above all, a strategy for a political endgame resulting in Gaza’s return to normality. In the long term such an approach is the most effective way to address Gaza’s economic and humanitarian situation as well as legitimate security concerns. Consistent with this comprehensive approach, the Gaza Strip should be considered within the current Israeli-Palestinian negotiations in order to promote peaceful co-existence between Israelis and Palestinians. The current pressing situation in Gaza is, in fact, a protection crisis with humanitarian consequences. Efforts are needed, primarily by Israel as the occupying power, and by other duty-bearers to address it. The energy crisis in Gaza is having a direct and immediate impact on humanitarian needs in Gaza in particular water, sanitation and hygiene, as well as the functioning of hospitals and other basic services. Funding is urgently needed to provide fuel to operate the Gaza power station, the main source of supplies of energy at present. As regards energy and access to water, short term measures should go hand in hand with efforts to provide Gaza with long-term reliable, transparent and affordable supplies. Economic development in Gaza is contingent first and foremost on Israel providing access and movement to and from Gaza by land, sea, and air. Greater movement and access through Rafah would also help. For their part, the EU and international partners should encourage economic development in the Gaza Strip through projects and plans that promote trade, create jobs, encourage investment and support the Palestinian private sector, industry and agriculture. They should seek to promote the integration of the economies of the Gaza Strip and the West Bank, in particular through access to local and international markets. Efforts to promote economic development should include the eight sectors emphasized by the « Economic Initiative for Palestine ». In particular, the establishment of an industrial zone in Gaza should be considered. The absence of political unity between the West Bank and Gaza is problematic for peace negotiations as any comprehensive agreement will be difficult to negotiate, legitimize and implement. It is also an obstacle to the development of Palestinian institutions, the fostering of a culture of democratic governance as well as to economic development. In line with the Cairo and Doha agreements the Palestinians should have the opportunity to establish a unified government that will commit to a policy of security, non-violence and respect for human rights, as well as with a clear plan for the holding of democratic elections in accordance with international standards. The EU should continue to encourage the Palestinians to take further steps in this regard in accordance with the principles set out by President Abbas in May 2011. Security arrangements should be developed to address Gaza’s internal security situation and legitimate Israeli and regional security concerns. Such arrangements should cover border crossings and buffer zones as well as Sinai. A precedent for security arrangements and for the EU to play a role as a third party at border crossings can be found in the Agreement on Movement and Access and the Agreed Principles for the Rafah Crossing Point. Support to the Palestinian refugees in Gaza through a yearly contribution to the general budget of UNRWA.This contribution enables the Agency to provide essential education, health, and social relief services to Palestinian refugees. This regular and predictable support has played a vital role in sustaining the Gaza population through the most difficult times. 75% of Gaza residents are registered as refugees. Social allowances to the poorest and most vulnerable Palestinian households, in support to the Ministry of Social Affairs’ cash transfer programme. Payments of allowance grants by the EU are made on a quarterly basis directly to the beneficiaries of the cash transfer programme run by the Ministry of Social Affairs, at a cost of approximately 40 million EUR annually . This support directly reaches around 60,000 vulnerable Palestinian families, among which 24,000 (almost 40 %) live in Gaza. EU contribution to KFW Water and Sanitation Programme Palestinian Territory in Deir Al Balah and Rafah City. The project focuses on the construction/rehabilitation of sewer networks for the improvement of sanitary conditions in Beit Lahya, Jabalia and Deir Al Balah Municipality. It is to be completed in 2017. NGEST – Northern Gaza Emergency Sewage Treatment Project (NGEST). The project focuses on providing a satisfactory long-term solution to the treatment of wastewater for the Northern Gaza Governorate, and is to be implemented in cooperation with World Bank, AFD, SIDA and Belgian Co-operation. It is due to be completed in October 2014, but is facing problems with its power supply. One solution, now agreed with the Israeli side, would be to provide the plant with 3 MW (3.5MW were normally needed). As such, the Israeli authorities agreed to provide one electrical feeder in the north. 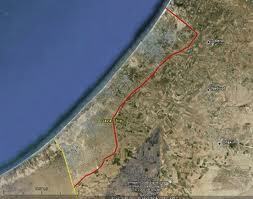 The upgrade of the line has to be done on the Gaza side and it seems that funds have been secured by PA. However, Israeli authorization for the import of supplies needed for the construction of the plant can be a time-consuming and a sometimes arbitrary process. STLV – Short Term Low Volume Sea Water Desalination Plant for Southern Governorates of the Gaza Strip (IFS). This project focuses on the construction of a seawater desalination plant with an estimated capacity of 6,000 m3/day (which has yet to be confirmed by the feasibility study results), including connection to the water network distribution system and public awareness campaigns. The Israeli authorizations for the import of supply needed for the construction of the plant is expected to slow down the construction, although the fact that UNICEF is the contractor of the grant can accelerate the process. Additionally, a large scale desalinization plant in Gaza is currently being discussed and studied. The project, entitled “Desalination Facility for the Gaza Strip”, aiming at increasing the availability of fresh water for the population of Gaza, has been labelled by the Senior Officials of the Union for the Mediterranean. However, before a final decision is made on this project, the EU expects the PA to present an overall, sustainable and long term solution to satisfy the energy requirements of the plant as well its financial sustainability overtime. The decision of the EU will also be based on the conclusion/ recommendations of a European Investment Bank feasibility study. EU contribution to DFID Palestinian Market Development Programme. In addition to the matching grant scheme, The Palestinian Market Development Programme (PMD) will provide technical assistance to strengthen the market system, to deliver strategic interventions within the industry value chain, to build diaspora linkages and to expand investment opportunities. EU Support to the Technical and Vocational Education Training (TVET) Sector in the Gaza Strip. The project aims to contribute to the socio-economic development of the Gaza Strip by enhancing the availability of qualified human resources. As such, it aims to respond to the needs of the local labour market (especially of the private sector) and of the community at large. To achieve the objective, the programme called for proposals for the implementation of skills development initiatives. Eight partnerships between training institutions and the private sector have been selected in the fields of media production, fashion design, cellular device maintenance, office machine maintenance, hotel management and hotel gastronomy, agriculture, cosmetic arts, secretarial, electric, metal work and carpentry. The action -with a budget of two million Euro- started in April 2013 and will end in 2016. The IfS is currently supporting two actions with the aim of contributing to the recovery and the relief of the civilian population within Gaza. Kerem Shalom Gaza border crossing. This action aims at improving the capacity of the border crossing. To date, however, work has not started yet notwithstanding the efforts of the EU Representative at every level, as implementation of the plan has been delayed repeatedly. Currently, the delay is subject to the confirmation of the exact location of the site, while COGAT has also not yet approved the shortlisted contractors for the loading area. Apart from settling the location of the site, some actions should be undertaken by the PA (both Ministry of Public Works and Ministry of Finance) to ensure that construction on the site start quickly, The MoF should also commit itself to pay not only 25% of advance payment to the contractor against pre-financing guarantee, but also the unpaid invoices. UNRWA – Job Creation Programme. This programme lasts 3 years and will end in Nov 2015. UNRWA has continued several activities under the umbrella of « delivering basic public services » and « support to private sector ». It has provided short-term employment to 2,615 beneficiaries under the service component, while 235 businesses (food processing, garment, leather, wood furniture) got support under the private sector component. Although these instruments and programmes, unlike the geographic ones, are designed and programmed at world-wide or regional level, the EU ensures as much as possible that priorities respond to local needs in the Opt. In particular, there are two programmes which are implemented through local calls for proposals, in which the Gaza Strip has been systematically included as a priority area in recent years: the European Instrument for Democracy and Human Rights (EIDHR) and the Non State Actors and Local Authorities Programme. Amongst the current 45 actions supported under both programmes (29 on-going and 16 under process of contracting), 9 are implemented in Gaza exclusively and 7 are implemented both in the West Bank and Gaza. Additionally, there are 6 other actions funded under other instruments (3 under the Investing in People – Gender, 1 under the Partnership for Peace, 1 under the Civil Society Facility and 1 under DCI-HUM), which focus on Gaza totally or partially. In total, there are 21 projects implemented through civil society responding to Gaza needs, representing a total amount of €10,7 M (€5,4M for the actions exclusively implemented in Gaza and €5.3M for actions implemented both in West Bank and Gaza). European Instrument for Democracy and Human Rights. The current portfolio in Gaza includes interventions focussing on the promotion of fundamental freedoms, in particular freedom of association, and the protection and awareness-raising of human rights in general and protection of human rights defenders in particular. It is also focused on actions combatting child sexual abuse and child labour, repairing victims of ill-treatment and enhancing disable rights. . Non State Actors and Local Authorities Programme. Current actions funded under the programme provide support to combat poverty and promote social inclusion of the most marginalised groups (older people, disables) and to strengthen the civil society role as social and development actors (Community Based Organisations and Bedouin community). Two actions addresses in particular women healthcare, including reproductive health services. Investing in People – Gender interventions inGaza. This instrument combats gender inequalities, promotes women rights in heritance and property issues, fights against gender based violence and promotes the socio-economic empowerment of disabled women. Partnership for Peace. This project is focussing on the promotion of national reconciliation, as well as technical assistance support provided through the Civil Society Facility to the four main Palestinian NGO networks. It aims to enhance their capacities for policy dialogue, which includes one network in Gaza and the Gaza-branch of another network. In addition to the financial instruments mentioned above the EU promotes the development of teaching and managerial skills at higher education level. Such activities are mainly operated through two worldwide programmes, Tempus and Erasmus Mundus, where European Higher Education Institutions (HEIs) operate in partnership with third countries HEIs. Since 2011, 5 projects funded under the Tempus programme involved a Gaza university or college. The projects are focussing on lifelong learning, strengthening linkages between university and enterprise and on career-oriented curricula development (software engineering, road vehicle maintenance, tuning). As for Erasmus Mundus, it should be noted that both students for mobility programme at master and doctorate level (Action 1) as well as of participation of universities in partnerships (Action 2) has increased since 2012, involving both Gaza and West Bank. The European Union Humanitarian Affairs and Civil Protection Office (ECHO) has been providing targeted support to the most vulnerable households in the Strip. In 2013, around EURO 19,5 million was channelled through United Nations specialized Agencies, the ICRC and International non-governmental organisations to provide food assistance, clean water to the poorest neighbourhoods, support activities to small farmers and herders and emergency health services. Emergency preparedness and response activities will form the basis of 2014-programming, aimed at safeguarding Gaza response capacity to external shocks. Standard interventions will be linked to emergency health services, the maintenance of important basic Gaza water networks and (the development of) cash distribution modalities (such as food voucher programming) that can be scaled up when the situation in the Gaza so requires.